A DIAMOND, brilliant cut, TW (F-G) / VVS1 1.03 ct.
6.60 - 6.63 x 3.95 mm. 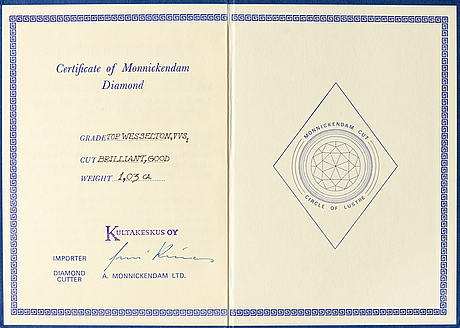 Certificates by Monnickendam and Kultakeskus. 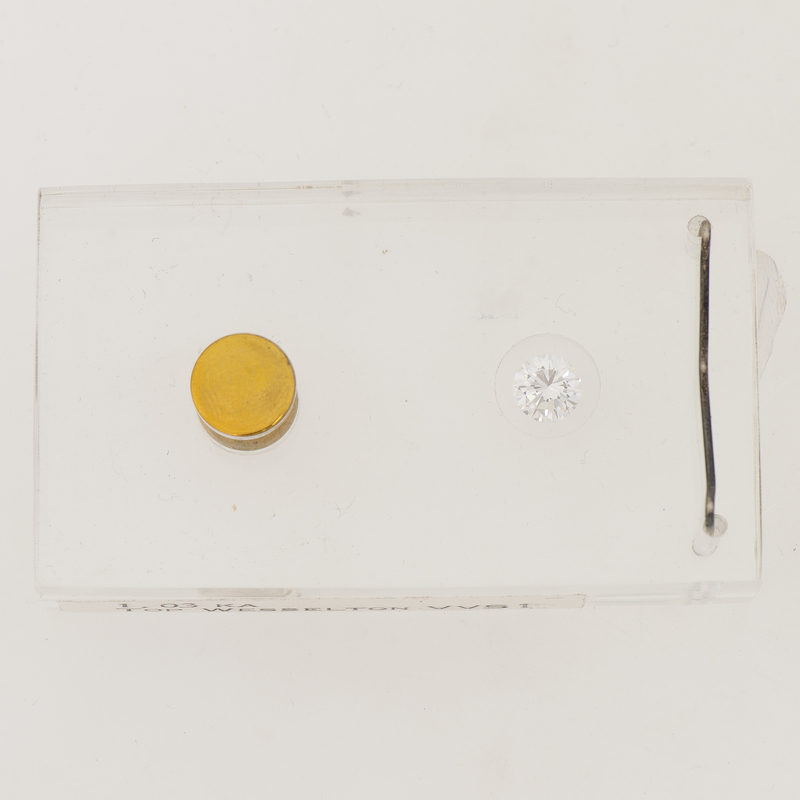 In plastic case, signet broken.